Aquafaba can be used to replace egg whites in many sweet and savory recipes. Its unique mix of starches, proteins and other soluble plant solids gives aquafaba a wide range of emulsifying, foaming, binding, gelatinizing and thickening properties. What if I told you that all this time when you've been dumping it down the drain, the liquid from your can of chick peas had magical properties? Behold, the miracle of aquafaba! Yes, that's right, the salty, murky liquid you thought was just waste is actually the next big thing in the world of egg replacement. The general recommendation for use is to replace one medium egg white with 30ml (two tablespoons) of aquafaba in a recipe, or to replace one medium whole egg with 45ml (three tablespoons). 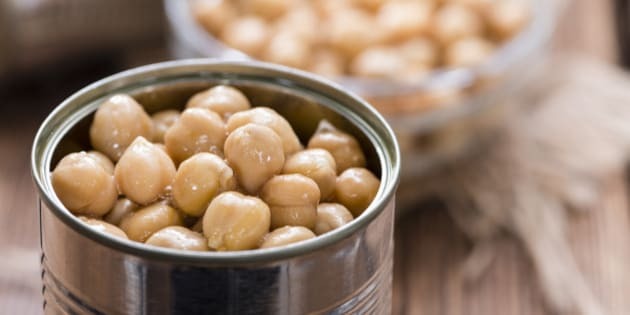 The simplest way to use it is to save the liquid from canned legumes (chick peas and white beans work best). It can also be made by boiling, steaming, pressure cooking or microwaving pulses in water until they are cooked. Aquafaba contains about one-tenth of the protein that egg whites have by weight. The difference in protein content may allow people who cannot properly metabolize some proteins a way to enjoy egg-based foods. However, the lower protein structure also means that using it as a substitute in recipes which rely heavily on egg protein for structure, such as angel food cake, is not recommended. It all started in 2014 when French cook Joël Roessel created a tutorial on how to make vegan meringues using chick pea brine. As it turns out, aquafaba is a perfect vegan egg substitute. Restaurants all over the world are now using it, and so can you! OK, so maybe it's not MAGICAL, but I've been experimenting with amazing ingredient ever since I first heard about it; here is one of the recipes I've created. I encourage you to try making it, and perhaps experiment with aquafaba yourself. I may not be vegan, but I love making recipes vegan and plant-based and since everything I make is also gluten-free as well, using aquafaba really opens up a lot of culinary doors. Gone are the days when people with dietary restrictions would have to go without - the food to which we have access has never been more creative and inclusive. Now for a recipe... I love pancakes. Sometimes I even eat them for supper! 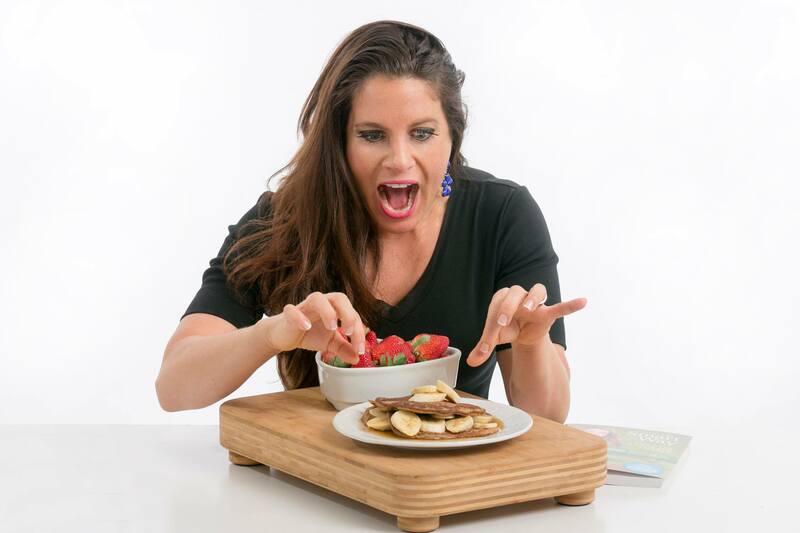 These pancakes are high in protein, easy to make, have only a handful of ingredients and are good for you! And they use that magical ingredient, aquafaba! Combine the first 5 ingredients and allow to sit for 10 minutes to allow oatmeal to absorb the moisture. Heat coconut oil in a non- stick pan and when oil is hot, drop pancake mixture onto pan. Flip when bubbles appear on the top. Serve with pure Canadian maple syrup, blueberries and walnuts (for extra omega-3s!). YUM! What are YOUR favourite pancake toppings?